Daydreamer Katrina Crimshaw just met the man of her dreams, again. A chance encounter with Robert LaSalla, the co-worker she admired from afar years before, brings the past alive for the shy auditor. Will she be able to juggle her secret life with her career and changing work situation? Katrina leads a comfortable life with a loving family and close work relationships. She finds an outlet for her creative side by blogging about her passion for jewelry under a pseudo name. There's no room for romance in her life until she runs into Robert LaSalla, the man who caught her eye when she was just out of college and still stinging from a broken engagement. Although she hasn't seen him in years, he still intimidates her and sets her heart pounding. As unexpected opportunities arise from her blog, she finds herself drawn to a charming British museum director, while unforeseen circumstances throw Robert back in her path and upset her well-ordered life. When passion flares, will she let love slip through her fingers again? A Solitary Romance is a clean romance that will set readers’ pulses racing. Don't get me wrong, I love a good drama, and I think this book has just the right amount of it. However, the plot, characters, and writing style were disappointing, generating a one star for this novel. The story did not give me a great first impression. The novel opened up with a scene of a grown man acting like a Saturday morning cartoon character. Yes, I understand there are characters that are of a more comedic nature, but the whole scene just felt out of place, especially since the plot did not dive further into that particular character's background. Needless to say, it did not hook me in at all. The rest of the plot is underdeveloped. The general story line is there; a romance full of misunderstandings, soul-searching, and trust issues, but I still have lots of unanswered questions. Character building is another area on which this book needs more work. It felt like some of the actions that the characters carried out were rash and unreasonable. I understood why the characters felt the way they did (because they are obvious reactions), but I didn't understand why they acted or responded the way they did. Most unfortunately, I was unable to understand the motives of the main character, and could not relate to her at all. I like the idea of her; plain Jane auditor by day, superstar blogger by night! But how her actual character is communicated paled in comparison to the model I'd imagined in my mind. Again, this links back to weak character building. I'm also just not a big fan of this author's writing style. This may just be me, but it annoyed me that there were more than enough nicknames for each character-- Katrina, Kate, Katie; James, Jim, Jimmy. It is unnecessary and confusing. I understand that nicknames are indications of intimacy, but they are also used in narration (the book is written in third person), which did not exactly make for an enjoyable reading experience. As well, characters would often be named by their profession, which seemed highly impersonal and rude, in a way. Kiki, the main character's best friend is called "the receptionist" or "the Hawaiian" several times throughout the book. 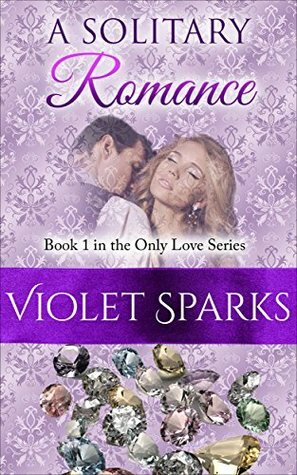 Although I wouldn't recommend this one, I'm not deterred from giving other Violet Spark novels a chance. Disclaimer: I received a free copy of this book in exchange for an honest review. This review is in collaboration with Books and the Bear.